In the face of global crises in health, home and heart, advances in frontier science are creating a genuine revolution in thought and understanding, one so radical that it will change the world. Astonishing new insights in emerging fields of epigenetics and quantum biophysics are toppling the philosophical foundation of conventional allopathic medicine. From the ashes is arising a new philosophy of health and healing. This philosophical Phoenix wears the cloak of Chiropractic. This course provides an illustrated and thought-provoking introduction to a long-awaited paradigm shift in the biomedical sciences. The “new biology” validates the vitalistic model of health proposed by D.D. Palmer in 1895 and provides a solid scientific foundation for the practice of chiropractic. This powerful new knowledge of “self,” which by definition translates as self-empowerment, can be used to enhance your professional practice and as importantly, your personal life. Any questions? Call us at 510.780.4508 or email conted@lifewest.edu. Demonstrate an understanding of the basic nature of protein biology and mechanisms of conformation change. Develop a basic knowledge of how the mechanics of quantum-biophysics provide for life. Understand the basic elements of signal transduction, specifically the role of environmental signals in controlling gene activity (Epigenetics). Describe the elements of the new biology that provide a scientific foundation for the practice defined by Chiropractic Philosophy. Describe the nature of the biological model of mind-body interactions that educates, empowers and promotes self-responsibility. Describe the pathways by which the conscious and subconscious minds control behavior and gene expression. Trace the pathways by which prenatal and perinatal experiences provide programmed perceptions that shape an individual’s physiology and behavior. Develop a basic knowledge of how cultural beliefs shape civilization and the role played by the Perennial Questions in today’s evolutionary upheaval. Understand the basic fractal geometry of Nature and how its iterated patterns shape the fate of human civilization. Describe how the Biological Imperative provides for the development of the Honeymoon Effect, including the mechanisms that control its characteristics. Introduction: A brief history of Western Civilization. This philosophical approach emphasizes how the ancient “perennial questions” have shaped civilization and how new answers to the ageless questions are now provoking the creation of a new civilization. After the historical set-up, the course will start with a review of how Reductionism became science’s lens to study the Universe. What happens when one reaches the ultimate reduction of life? It leads to the realization of Holism, the science of how everything is connected. This is the path that leads to an understanding of how a protein “moves” (reductionism) and from there, an insight into the fundamental nature of life and evolution. Pyramid of Science: The story of how each branch of “science” evolved over the ages. How the insights offered by the stratification and evolution of each branch of science are relevant to today’s perception of the Universe. Fractal Mathematics: The first floor in the science pyramid, mathematics, shapes our physical world. Understanding the significance of “As Above, So Below” as a fundamental principal implied in fractal mathematics. Seeking the patterns to predict the nature of Nature. Physics: In search of the “mechanisms” that drive the movement of the Universe. Knowledge of the primary mechanics of movement offers insight in to the hows and whys of life. Conventional biomedical science emphasizes a Newtonian approach based upon the principles of Materialism, Reductionism, and Determinism. Biochemistry: The origin and nature of life’s macromolecule building blocks. Understanding the mechanics of how and why molecules move and through this process, generate life. The evolution of quantum physics introduces the “new” biology and simultaneously verifies fundamental spiritual wisdom. Quantum Biophysics: Revealing a new chemistry, whose mechanics are assessed through the influence of quantum physics, offers new insight into the nature of how “signals” provide for protein movement. The science of how vibrational resonance provides a more efficient and effective signal than does conventional molecular signals (e.g., drugs). Systems: To understand “life” requires an understanding of the components that comprise a “system” and how they interact. The evolution of a “system,” through the sequential origin of its components, is a pattern mirrored in the evolution of living organisms. Cell Membrane: Life needed a “controllable” domain in which to arise. All living organisms share a basic membrane that provides for a sustainable, regulatable domain. The cell membrane is more than “plastic wrap,” for it is the brain of the cell. How the human brain works is patterned in the operation of the cell membrane as an information transducer. Biology of the Cell: A review that reveals the cell as a fractal pattern of a human, and of the superorganism, Humanity. The new science emphasizes personal empowerment over classical victimization. Evolution: In 1809, Jean-Baptist de Lamarck published the first theory of evolution, a theory that, today, is more scientifically correct than the later Darwinian theory (1859). Science’s original Tree of Life emphasizes an evolution pattern of an infinitely slow and continuous sequence of genetic changes that enhance organismal evolution. In contrast, when evolution is viewed as an ever-increasing level of consciousness (related to nervous system development), the functional role of the cell membrane takes on profound significance. A novel theory of nervous system evolution based on membrane structure and function reveal an evolutionary path punctuated by start and stop points The new insights provide an ordered pattern to past evolution while offering insight into the future of human civilization. Spirituality: A spiritual foundation is fundamental in the philosophy of chiropractic. Biomedical research on cellular “self-receptors” offers valuable insight into the nature of human identity and our connection with a unique environmental information “field” (aka, spirit). Psychology: By strict definition, a single human being in reality is an organized community of about 50 trillion amoeba-like cells, whose behaviors are coordinated by the central nervous system (brain and spinal cord) the peripheral nervous system. While the brain and nerves are the “hardware” of nervous system, the behavioral functions are more closely related to behavioral software known as the mind. The mind is composed of two interdependent minds, the larger (90%) Subconscious Mind and the newer and smaller Conscious Mind interpret and respond to environmental stimuli. The conscious mind is the creative mind while the subconscious mind is primarily the habitual mind. Programming: This section defines why the movie The Matrix is not science-fiction but in reality a documentary. In order for consciousness to function there must first be behavioral programs. From the last trimester of pregnancy through the first seven years of age, a child’s brain is predominantly operating at a theta EEG vibration, which is the state of hypnosis. All the child hears, sees, experiences are downloaded into the subconscious mind. Seventy percent or more of our developmental downloads are disempowering, self-sabotaging and limiting. Unfortunately, our lives are controlled 95% of the time by our subconscious programs. Only 5% of the time does our creative conscious mind’s wishes, desires and aspirations control our behavior, shaping our lives and our biology. Reprogramming limiting Subconscious behaviors: The course will review how conscious and subconscious minds differ in the nature of their programming and why it has been “hard” train new, supportive subconscious “habits.” Information will be provided on how to rewrite limiting beliefs and create life experiences that manifest Heaven-on-Earth. 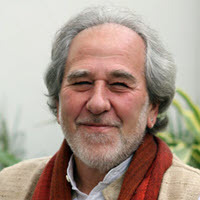 Bruce H. Lipton, Ph.D., cellular biologist and author, was formerly an Associate Professor of Anatomy at the University of Wisconsin’s School of Medicine and Research Scientist at Stanford University’s School of Medicine. Dr. Lipton has served as a Visiting Professor at Palmer College, Life Chiropractic College West and The New Zealand College of Chiropractic. He is the author of the bestselling books The Biology of Belief and The Honeymoon Effect, and co-author of Spontaneous Evolution. See below for a list of credits that may be available for this seminar. If your program is not listed, contact the Life West CE office to discuss pursuing Board approval. *The following State and Province boards do not require an application when a program is sponsored by a college accredited by the Council on Chiropractic Education (CCE): CO, CT, DE, DC, ID, IL, IA, MD, MA, MI, MT, NE, OH, OR, RI, SC, UT, VT, VA, WA, WY, BC, NB, ON, QC. Life Chiropractic College West cannot guarantee that any session of this offering will be accepted by these licensing board(s). Life West urges licensees to familiarize themselves with the laws governing continuing education in the jurisdictions where they hold licensure.